70357 COUNTER H. CHAIRSDIMENSION: 24" seat heightFEATURE: Espresso Finish.. 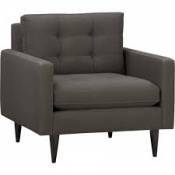 Item Number : 60822Feature : SIDE CHAIRDimension : 42"H.. Item Number : 02864NFeature : FARM HOUSE BENCH/NATURADimensions :.. Item Number : 02864NWFeature : FARM HOUSE BENCH/NATUWHITEDimensio.. Item Number : 07055Feature : COUNTER H. CHAIR W/ESP. PUDimensions.. Item Number : 07056Feature : BROWN CHERRY BENCH W/ESP. PUDimensio..
07242 COUNTER H. CHAIRDIMENSION: 24" seat heightFEATURE: Espresso PU & .. Item Number : 07253Feature : CORNER CHAIR W/CUSHION BACKDimension..
Wood Finish LATTEWood Finish 2 VINTAGE WHITEDescription	Width	Depth	Height	.. Fabric Color BLUEFinish Color STAINLESSDescription	Width	Depth	Height	Seat .. Fabric Color GREYFinish Color STAINLESSDescription	Width	Depth	Height	Seat .. Fabric Color CREAMFinish Color WALNUTMaterial Content % 100% POLYESTERDescr.. Fabric Color TANWood Finish RUBBED CHARCOALDescription	&n..
Model Number: 107852Dimensions:Width: 19 x Depth: 22.5 x .. Fabric Color CREAMY WHITEDescription Width	Depth	He..
Model Number: 107953Dimensions:Width: 20.75 x Depth: 24 x..
Model Number: 107954Dimensions:Width: 20.75 x Depth: 24 x..
Model Number: 107952Dimensions:Width: 20.75 x Depth: 24 x..
Wood Finish NATURAL WALNUTDescription	Width	Depth	HeightBENCH	46.00	15.75	..
Wood Finish ISLAND KHAKIDescription	Width	Depth	Height	Seat Depth	Seat Heig.. Fabric ColorBLACKWood FinishWEATHERED WASHDescription	&nb..